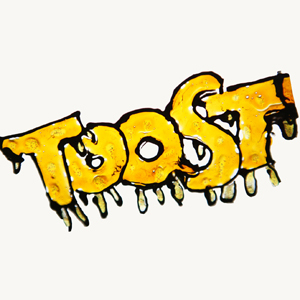 Toast Studios is situated on the first floor of a creative complex in Ladbroke Grove, West London. It is split between two main areas: a large and beautifully day-lit control room and a good size booth. You enter the control room and are greeted by a bright space filled with fantastic vintage gear. Taking centre stage is of course the Neve 8026 40 channel 8 buss console with a rare 24 channel monitoring section and 24 vintage Neve Mic Pre's/EQs. This is a special console. It dates back to the early 1970s and has a rich history of making records. Albums by REM, Neil Young, The Breeders, Third Eye Blind and Smash Mouth are known to have been recorded on this board, amongst many others. In recent years Craig has used this beautiful Neve to mix albums by the likes of Florence and The Machine, The Horrors, Yeah Yeahs and Anna Calvi, to name a few. To the left of the console, sat in front of two ceiling-high windows are Craig's racks of outboard. We have Dynamics, Mic Pre's, EQs, Reverbs and Delays by the dozen here, including both studio standards and some esoteric models you'll do well to find in many other rooms. A Pro Tools HD3 rig runs Pro Tools 8 on an Intel Mac Pro, and there are some fantastic custom Boxer T2 monitors powered by a Bryston 4B-ST amplifier. Although primarily a mixing studio, Toast is also very adept at recording overdubs. Its large booth (which is also naturally lit) can fit a drum kit and there are plenty of excellent microphones at your disposal. A selection of backline is also available for clients to make the most of. If you're only mixing then this large booth doubles up nicely as a relaxing chill-out space. Elsewhere in the building there is plenty going on; other recording studios and musicians, artists, creative companies and more make for a great atmosphere, and there are shared recreation areas such as a lovely courtyard and kitchen with vast dining table – perfect for days when numerous people are there. Toast Studios is in a prime West London location. Ladbroke Grove has the delights of Notting Hill within walking distance to the south, while the classy pubs and restaurants of Kensal Green are even closer to the north. Public Transport is plentiful and the studio is of course nearby to many West London-based record labels and artists.